This week we head to USA – Midatlantic and speak with an excited and energetic judge who is known for brilliant questioning and assimilating feedback. This judge pays it forward by mentoring L1s at events, and enjoys RREL events. Without further ado, let’s meet this weeks nominee, Logan Anbinder! Favorite card: Mesmeric Orb, the foundation of an obnoxious casual deck from my kitchen table days that is now an obnoxious semi-competitive Modern mill deck. Least favorite card: Goblin Recruiter, which made my friend’s casual goblin deck unstoppable in middle school. Best tournament result: Sometimes I do well at prereleases! I compete in pun competitions. I once won first place with a rap about different authors. One day, I’ll make it to the big show — the O. Henry Pun-Off in Austin! After the recent SCGCon, a bunch of other judges and I got to do an Onslaught block draft. Onslaught was the first full block released after I started playing Magic, way before I knew what a draft was, so it was incredibly cool and nostalgic to be able to look through packs of cards I remembered from childhood and to be able to play with them against other judges. Logan (in blue) playing in the RNA prerelease. In middle school, one of my friends taught me and my other friend how to play, and even gave us the cards we used in our first decks — mono-red for him and mono-green for me. Seventeen years later, I still have that deck, and I still appreciate his generosity in opening a door for me into this amazing game. Thanks, Josh! Jonah Kellman was my first team lead at a large event, and his positive and welcoming attitude really helped me feel like an immediate part of the Judge Program. He also later encouraged me to take on my first team lead position, and I’ve learned a lot from him about policy, including via the “Frost Walker/Pressure Point question” and a very memorable exercise where we sat in silence for a minute to teach me just how long a time that can be when watching for Slow Play. 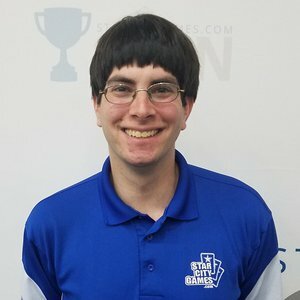 Ben Harris was my Head Judge at the first Comp REL event I staffed, so I learned a lot from him about the logistics of running events, and he has continued to be an amazing experienced resource with whom to discuss policy and rules scenarios. You were nominated about your feedback process, how not only do you seek it but also follow-up and integrate it in your Judge life. Care to share your philosophy and process with our readers? It’s really important to me to learn and grow as a judge, and the supportive and personal growth-oriented nature of the Judge Program makes that easy to do. There’s not really a “typical” judge call — you’re always going to be asked questions or to deal with situations that you don’t expect, so seeking feedback on as many of your interactions as possible gives you a wide knowledge base to draw on when you encounter a situation you haven’t seen before. Even asking something as simple as “how do you think I handled that call?” will almost always result in you getting feedback that you can incorporate into your future interactions with players. Don’t be afraid to ask for help! The judge community is incredibly supportive. Even if you think your question is silly, it’s probably not. Delivering rulings with confidence is important, but it’s not mutually exclusive with taking an extra moment to confer with another judge before giving your ruling! Getting my first Exemplar nominations. I hadn’t realized how attentive the judge community at large is to newer judges, and it meant a lot to be recognized for my work at my first few large events. You seem to have a talent for working with difficult players, do you have any tips for that? 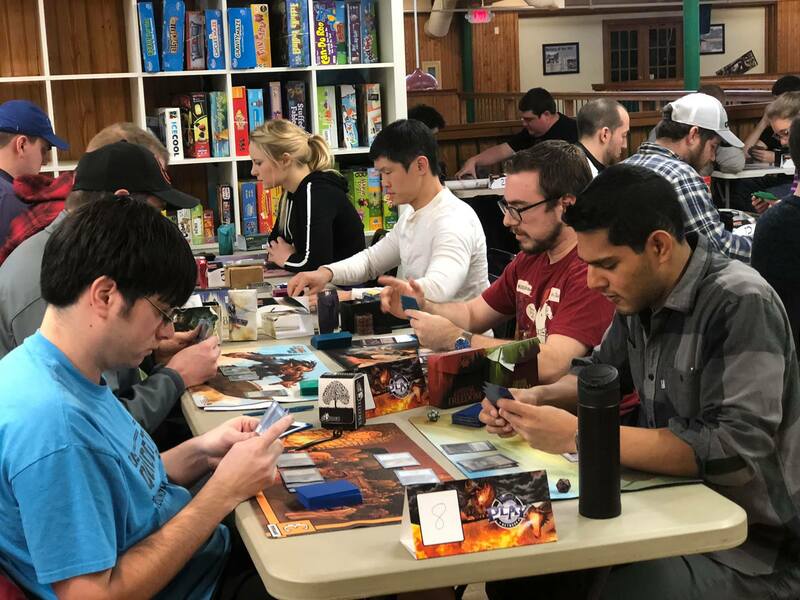 I’ve been fortunate to not have to deal with a ton of difficult players so far in my judging career, but I do try to bring to Magic events the same customer service-oriented mentality that I emphasized when training tournament directors for sporting events. Regardless of the player’s concern, it’s important to remain positive, polite, and professional. No matter their concern — whether it’s because of something outside of the player’s control, or whether the player is upset because of a penalty they earned for something the did — judges should make sure that the player feels that their concerns have been heard and acknowledged. You can’t always keep a player from being upset. However, you can work to make sure that, even if they do walk away upset, you make them feel that the situation was explained to them thoroughly, and that you treated them as fairly as possible. You mentioned that being recognized early on as an L1 was impactful to you. Do you take steps now to recognize L1 judges? What stands out to you? When I work events with less-experienced judges, I do my best to pay forward the attention that was given to me when I was a new L1. I try to discuss with them interesting policy situations that come up throughout the day. I also try to write reviews of newer judges so they can get more comprehensive, and hopefully actionable, feedback. I’m also mindful of the fact that there’s of course still a lot I can learn from L1s, whether it’s a suggestion about tournament logistics, a rules interaction, or a specific point of policy I might not have had occasion to review recently. Not only does that make me a better judge, it helps show newer judges that their feedback is valuable, too, and that putting on a successful event is definitely a group effort. What advice do you have for L1 judges starting on the large events? What pre and post event “things” would you recommend? Other than being prepared physically with the proper pens (red, blue/black, and thick sharpie) and a good night’s sleep, I’ve found that a positive attitude is really important to bring to the morning of an event. For me, the tone of an entire day can be dictated by my first few interactions with players, and jumping head-on into those conversations is a good way to make sure the entire event feels like a success. After the event, be sure to ask for feedback from your Team Lead or another judge you worked closely with! Often you’ll be able to do a debrief onsite, but even if you do, judges will be able to give you more detailed feedback once they’ve had a day or two to think things over. 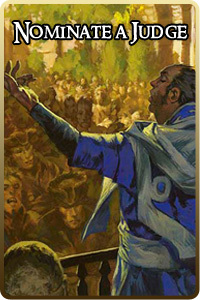 MaRo. It’s hard to tell how much I’m inherently like him, and how much I’ve come to think like him after 15 years of reading his articles, but I certainly appreciate his design philosophies (especially Restrictions Breed Creativity) and his commitment to the color pie. And of course, his puns! I’ve needed to get stitches from playing quidditch. My feet are two shoe sizes apart. I’ve traveled to the UK three times, but otherwise I’ve never left the country. While we appreciate what he wrote for his interview, Dalton Grimes is not a published author.